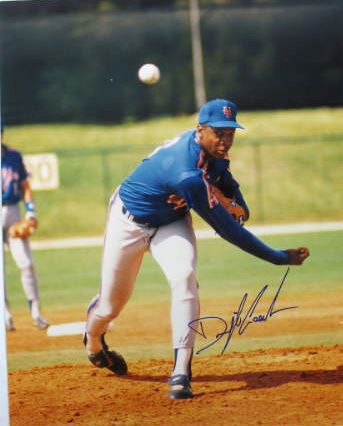 On this day in 1984, Dwight Gooden became the youngest player in major league history to capture the Rookie Of The Year award. Debuting in ’84 at the young age of 19, Gooden was fierce! He made 31 starts that season, and compiled a 19-7 record. He amassed 276 strikeouts during that campaign, and finished the season with a very low and respectable 2.60 ERA. In addition to an All-Star team selection, Gooden finished in second place for the NL’s Cy Young award. 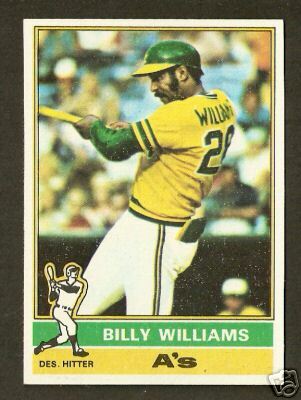 On this day in 1976, Billy Williams was released by the Oakland Athletics, ending his 18-season major league career. During his 18 years in the big leagues, Williams spent 16 with the Cubs, and his final two with the A’s. Most known for his incredible left-handed swing, Williams collected 2,711 hits, alongside 434 doubles and 426 home runs. He was a catalyst to the Cubs’ offense, and finished in 2nd place for the MVP award on two occasions. Williams was a 6-time All-Star, Rookie of the Year winner, batting champion, and member of the 1987 Hall of Fame class. Congratulations to Billy Williams on a fantastic career!!! Billy Williams Has Been Traded?? – You’ve Got To Be Kidding Me!!! Sad but true. On this day back in 1974 Billy Williams was traded by the Chicago Cubs to the Oakland Athletics for Darold Knowles, Bob Locker, and Manny Trillo. It was a sad day in Chicago as one of the Cub’s all-time greatest players was shipped away during a rebuilding process. The man that had occupied left field for the Cubs for the last 16 seasons was gone. Billy Williams’ 16 year career as a Chicago Cubs player was over!!! Williams played the final 2 years of his career with Oakland and still put up respectable numbers for the A’s. He batted just .230 but was able to hit 34 home runs and drive in 122 runs. It wasn’t until this trade to the A’s that Williams was able to make the post-season. In 1975 the A’s lost to the Boston Red Sox in the ALCS while Billy Williams went 0-for-7 in the series. Personally for me, it is very hard to see Williams wear anything other than ‘Cubbie Blue’. Although I never got to see him play live, I have seen plenty of highlights and have read books and articles about his amazing career and it always feels strange to me that his career ended in Oakland and not in Chicago. But, as we all know, baseball is a business and players are treated as assets and not humans. So, although I am saddened by how his career ended I am happy that Billy Williams was able to finally make it to the playoffs. 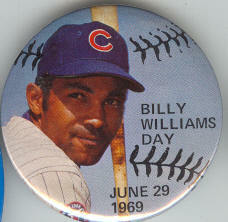 1969 HEADLINE: Today Is ‘Billy Williams Day’!!!! While an event of this caliber is usually reserved for a player in his final year or final home stand as a member of the home team, I guess that the Cubs organization thought so much of Mr. Williams that they chose this day to honor him. So, 41 years later I will carry on this tradition. Today, I will celebrate the main player that brought me back to the hobby of collecting baseball cards – ‘Sweet Swinging Billy Williams’!! The below pin was handed out to all in attendance at Wrigley back on June 29, 1969. 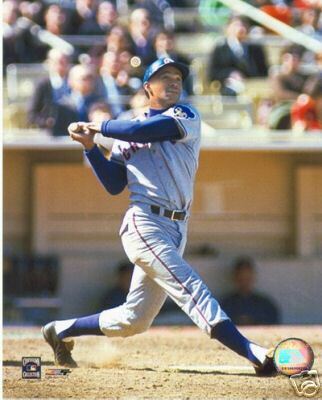 Happy Birthday ‘Sweet Swinging’ Billy Williams!! Billy Williams celebrates his 75th birthday today!!! One of the most beloved Chicago Cubs of all-time, Williams was a fan favorite from his debut back in 1959 and is still a face of the franchise 50 years later. His charisma, talent, and devotion to the game and city of Chicago have kept Williams in the public eye more than 30 years after his retirement. On a personal note, Billy Williams is a large reason as to why this blog exists. When his autobiographyhy came out a few years ago I knew I wanted a copy. That book triggered a domino effect that is still moving today. The book re-kindled my passion for baseball cards which led me to Fergie and Andre and Rickey and Dave. And all of that led me to ’30-Year Old Cardboard’. Thank you Mr. Williams. I never got to see you play in person. I have met you one time. Yet you have impacted my life more than you will ever know. Billy Williams 2013 Topps Gypsy Queen – FINALLY!!! 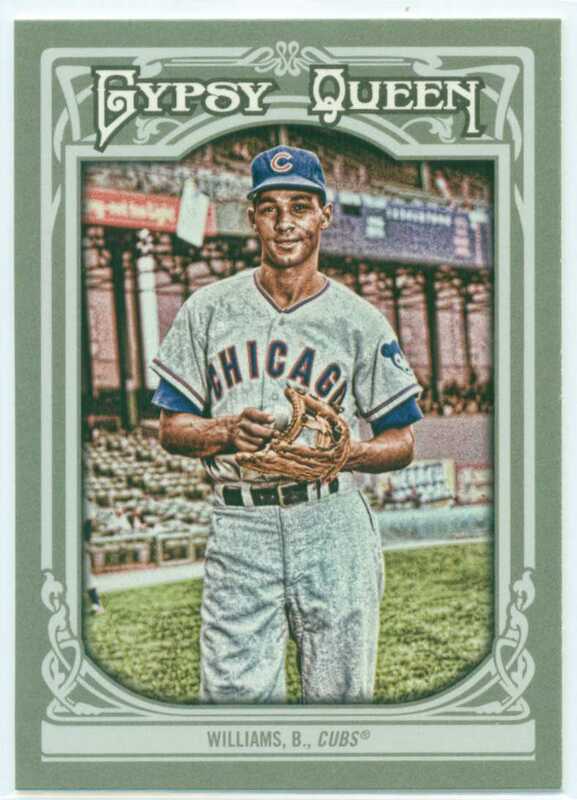 In my opinion, it took Topps waaaaaay too long to put Billy Williams back into a base card. Yes, he has had a few relic and certified autographed cards recently, but as a budgeted collector, it has been a while since I was able to afford a ‘new’ card of Mr. Williams. Thankfully, that all changed when he was added to the 2013 Topps Gypsy Queen checklist. I really like the image that Topps selected for this card. It features a very young Williams, and the background is reminiscent of the early 1960’s as well. Well, I have finally reached the end of my stack. With the posting of this card, I have officially shown off each and every base card from the 2012 Panini Cooperstown set that I own. 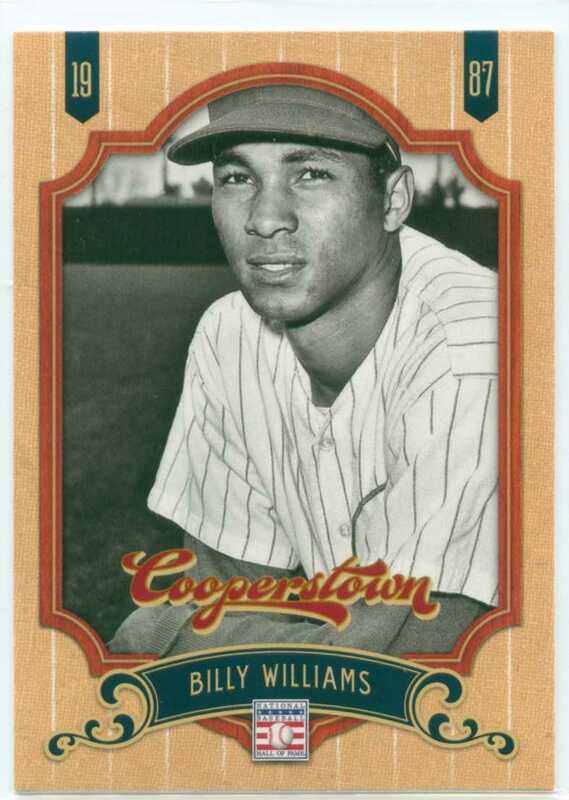 This is the card of ‘Sweet Swinging’ Billy Williams. This card was sent to me by loyal ’30-YOC’ reader, Quentin. Q and I have traded cards over the years multiple times. He knows what I like, and I know what he likes. We both like this card. But I think that I can speak for Q when I say that we both would like this card even more if it featured Williams’ signature sweet left-handed swing… Crop it, photo-shop it, whatever – just give me one more picture of that sweet lefty stroke!!!! Thanks Q, I owe you one!! !